LAKE PLACID – On Sept. 7, Mercy Care for the Adirondacks hosted more than 40 elders, Friendship Volunteers, Parish Nurses and Board Members at Guggenheim Center on Lower Saranac Lake for its annual Friendship Picnic. The gathering is held each year to celebrate older adults in our community and to honor and recognize the extraordinary gifts of friendship, kindness and assistance given to their elder neighbors by Mercy Care Volunteers. Mercy Care invites people of all faiths to become Mercy Care Friendship Volunteers. Friendship Volunteer Training is scheduled for today and Oct. 11 in Saranac Lake. Anyone interested in becoming a Mercy Care Friendship Volunteer is asked to contact Jenn Grisi, Mercy Care office coordinator, at jgrisi@adkmercy.org or 518-523-5583. Sr. Cummings and Jerry Hayes, Mercy Care’s board president, presented the recognition awards to volunteers. 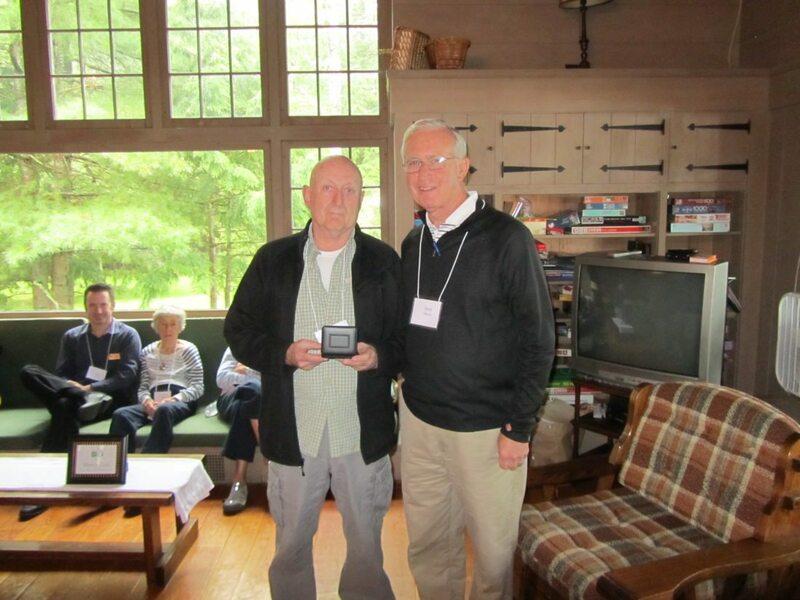 The Mercy Care Volunteer of the Year Award was presented to Paul Guerrette, a Friendship Volunteer, Volunteer Parish Nurse and Caregiver Advocate. The award is presented to the volunteer who has served for two years or more, has given outstanding service, and who exemplifies the values of Mercy Care. The Volunteer of the Year receives the Catherine McAuley medallion, who founded the Sisters of Mercy in Ireland in 1831 to serve the most in need in society. “In all of his roles, Paul has exemplified compassion, respect for the dignity of each elder, and care of the whole person,” Sr. Cummings said. The Extra Mile Award was given to two Friendship Volunteers who have gone the extra mile many times over the past years by friendly visits, phone calls, outings, errands, equipment repairs, transportation, and even being there for an elder in the emergency room at 11 p.m. The Award was presented to Bernadette Clarke and Carmine Salvo. The Caring Heart Award was awarded to Shannon Stratton, a Mercy Care Volunteer Parish Nurse. “Shannon lends a hand in time of need, puts others’ needs before her own, makes a positive impact in the community, brings warmth to everyday activities, and takes time to listen,” Sr. Catherine said. The Yes Award was presented to Lou Scavo to express Mercy Care’s gratitude to a volunteer we can call on, sometimes at short notice, and almost always get a “Yes” for an answer. Awards were earned by Suzanne Peck, Ellen Beideck, Anne Sander, Penny McGill and Sr. Denise Wilke. 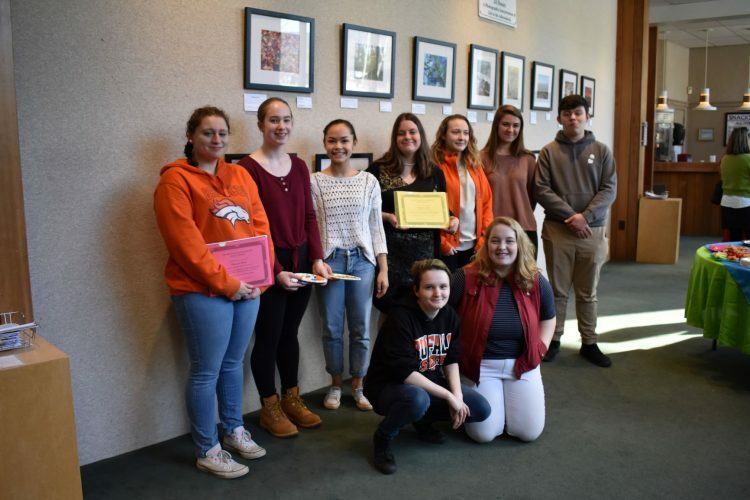 Over 100 hours of Volunteer Assistance Awards were presented to Brita Chagnon, Yvonne Farmer, Paul Guerrette, Sylvia Hough, Kathy Lamb, Collette Lettero, Linda Jones, Linda Perrigo, Carmine Salvo, Renate Schachenmayr, Lou Scavo and David Warner. Ten-year volunteer service awards were earned by Barbara Erickson, Ruth Tarlton, Sally Urban, Sheila Venezia, and Sr. Denise Wilke. Five-year volunteer service awards were earned by Rip Allen, Diane Collins, Fred Marks, Carmine Salvo, Anne Sander, Claire Thayer and Paul Reiss. In honor of Mercy Care’s 10th Anniversary, Mercy Care received a beautiful hand-made gift from Patty Francisco of Tupper Lake. Sr. Cummings thanked Patty for her generous heart that has made such a difference in the lives of elders in Tupper Lake. At Friendship Picnic, Mercy Care Volunteers and their elder friends were presented with an in-service program by Susan Sweeney and Stephen Ellis about International Paper John Dillon Park. They shared Mr. Dillon’s vision of a barrier-free place where all could enjoy the Adirondacks’ natural beauty. The park, located at 2150 Tupper Road (state Route 30) just north of Long Lake, offers a fully-accessible and aging-friendly outdoor setting that is open to all, with lean-tos, fishing docks, gentle trails and amenities to assure the optimal experience for guests. Managed by Paul Smith’s College, it is staffed by faculty and students during its operating season from late May to mid-September every year. Programs and amenities elders can enjoy include boat rides on Grampus Lake, 3.5 miles of packed trails suitable for wheel chairs, lean-tos for camping adapted for people with mobility challenges, a visitors’ center, and on-site staff to assist those who need it. The Park is open for day use and overnight stays during its operating season. More information about the Park and access to the Park’s online reservation system is available at www.paulsmiths.edu/johndillonpark. Mercy Care has recruited and trained over 100 Friendship Volunteers and 11 parish nurses to serve elders in the Tri-Lakes area. 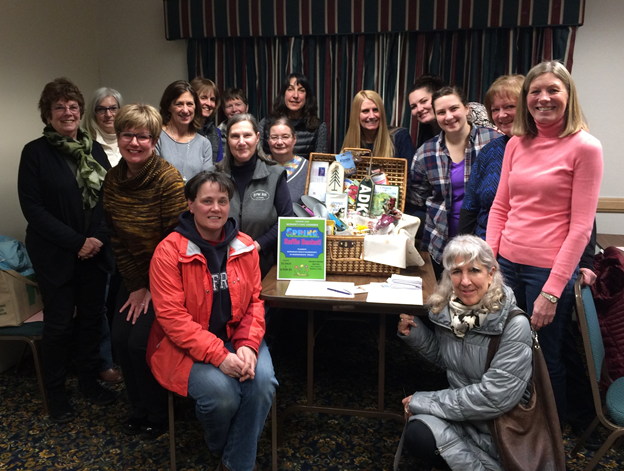 It has trained more than 50 Parish Nurses throughout the North Country. Mercy Care appreciates each and every volunteer for touching the aging in Tri-Lakes communities with mercy.